Today, if you’re a homeowner, 62 or over, who wants to tap some of your home equity while continuing to live in your home, you might consider taking out a Home Equity Conversion Mortgage (HECM) loan. No monthly mortgage payments are required and you don’t have to repay the loan until you leave the home. However, you must continue to maintain your home and pay your property taxes, homeowners insurance and other applicable fees, as you would with a traditional mortgage. 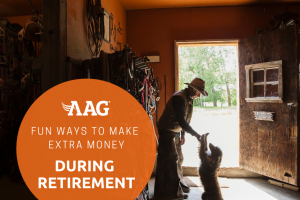 Use this age-in-place strategy to pay off high-interest debt like credit cards, build a stronger safety net, make home modifications or repairs, or however you wish for a better retirement. 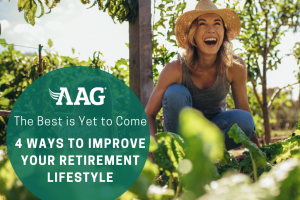 But what if your retirement plan is to age in a new place that you believe will be safer, easier and less expensive to maintain, and will move you closer to family, friends and the services you value you most? Fortunately, Congress anticipated this need and authorized the HECM for Purchase in 2008. A HECM for Purchase Loan works a lot like a HECM. The borrower must be at least 62 or older (a non-borrowing spouse may be younger) and live in the home as their primary residence. And just like a HECM, the HECM for Purchase requires no monthly mortgage payments and you don’t have to repay what you borrow until you leave the home. You are, however, responsible for maintaining the home and paying all property taxes, homeowners insurance and other applicable fees, as you would with a traditional mortgage. The size of your required down payment will be the difference between the price of the home you are purchasing and the amount of funds you will receive from your lender. The amount of funds you will receive from your lender will depend on a few key factors. The first is the age of the youngest homeowner. Typically, a younger age reduces the payout compared to an older age, which will likely increase it. The reason for this is simple. In the event, the older borrower dies, the younger spouse — and this is true for either a HECM or HECM for Purchase — can continue living in the home. So, although this requirement reduces the amount of lender funds the borrower qualifies for, it provides the younger spouse peace of mind knowing they can remain in their home for as long as they continue to comply with the loan terms. The home’s value, the prevailing interest rate at the time of the loan, and the initial insurance premium also figure prominently in determining the amount of proceeds you will receive from your lender. As a result, your lender’s amount can vary broadly, from approximately 30% to 55%. Therefore, a typical down payment could be roughly 50% or more. Although a traditional mortgage typically requires a smaller down payment, only a HECM for Purchase gives you the flexibility of no mortgage payments. However, you must maintain the home, pay property taxes and homeowners insurance and otherwise comply with all loan terms. Your home, however, cannot be a vacation or secondary home; nor can your home be on income-producing land, such as a farm. If you don’t want to pay all cash for your next home, but don’t want monthly mortgage payments* either, then a HECM for Purchase may be exactly the right loan to help you accomplish both goals. To learn more about a HECM for Purchase and all your other home equity solution options, speak with an AAG professional today at (866) 948-0003 or request a free info kit here. *Borrower must continue to maintain the property, pay all property taxes, homeowners insurance and any other applicable fees.